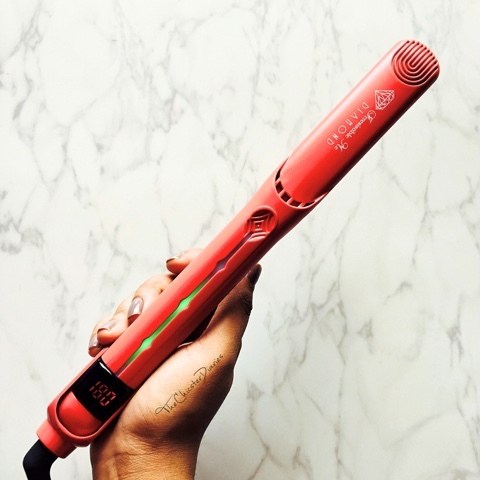 Claims: The Diamond Professional Flat Iron is our next-generation, digital, SMART styling iron featuring unique DIAMOND Hi-Tech, which coats the floating ceramic plates with crushed diamond particles mixed with tourmaline. The diamond and tourmaline technology will protect your hair and keep all the natural hair oils, color and moisture in, leaving your hair healthy, shiny and frizz free. The styling will last longer against air humidity and everyday stress. In terms of quality, our hair straightener is up there with ghd and NuMe, but at a considerable smaller price tag ($149 versus $200 for NuMe and $240 for ghd). Fact-O-Meter: An interesting fact about this latest in trend flat iron is that it sports a unique DIAMOND Hi-Tech meaning the ceramic plates of this straightener are coated with crushed diamond particles mixed with tourmaline. This combination of diamond particles mixed with tourmaline helps protect your hair by locking in all the natural hair oils, color and moisture. Basically. 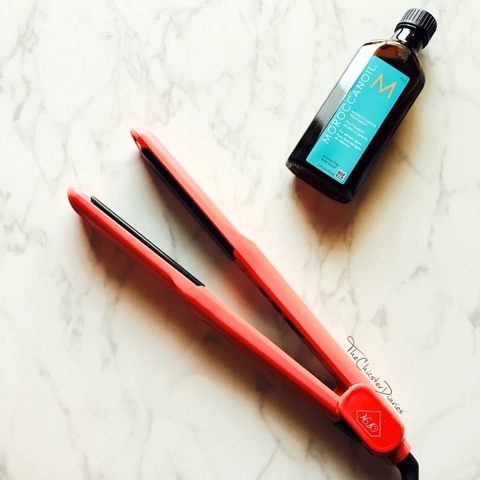 It is healthier to use these floating plates compared to your normal straighteners as they minimize the chance of damaging your hair. 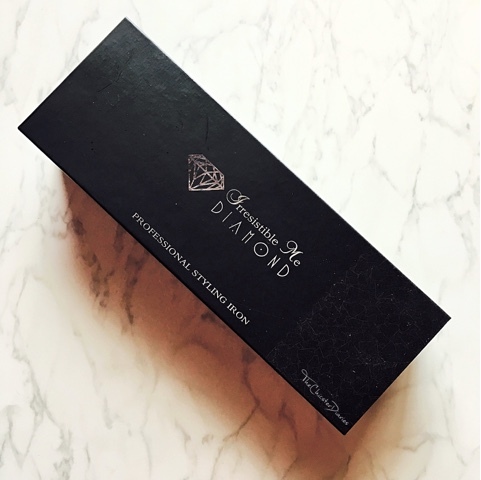 Packaging: The Irresistible Me Diamond styler comes housed in a sturdy box with a magnetic flap that is perfect while travelling. 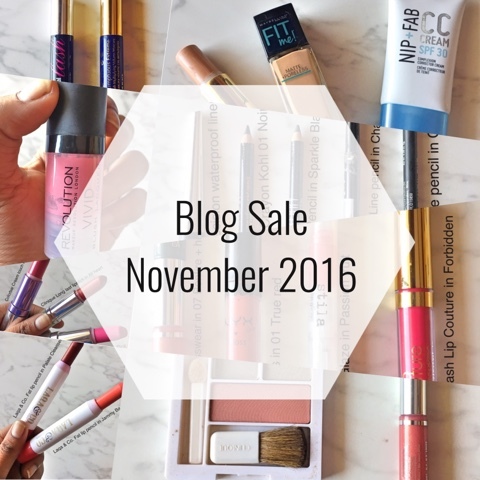 The styler on its own is very light in weight and convenient to carry around. 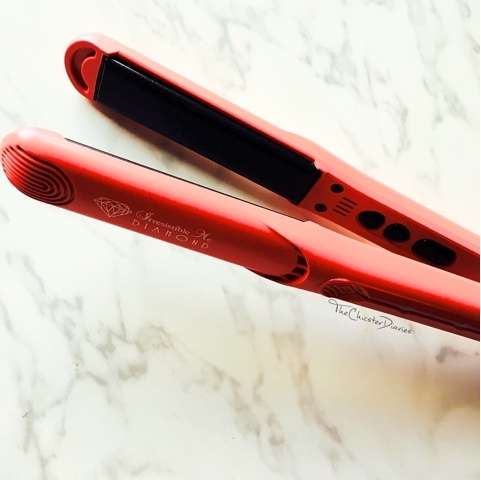 Design: This flat iron comes with a 360° mobile cord and a heat display that lets you know the temperature making it very user friendly. Also, the cool tips help in maintaining a steady grip and protect your fingers from getting burnt. The power button along with the temperature control buttons are all placed on the inner side to maintain the safety of the user (as seen above). Productivity: In the past, the most common issue I had faced with straighteners is that the floating plates are either too wide apart because of which I had to repeat the process a couple of times to get it right or the floating plates were too near because of which I had to make smaller partitions while ironing or else my hair would get pulled on. However, with these 1'' floating plate that self-adjust eliminating any pressure points I haven't faced any such issues as of yet. I was absolutely taken by surprise when this flat iron stood true to its claim of getting heated up in just 15 seconds which turned to be really helpful whenever I was in a rush. Another, brilliant feature of this product that highlights the safety of the user is the smart auto shut off feature after 30 minutes. Overall Verdict: On a whole I believe the Irresistible Me Diamond Hair styler is an uber cool, smooth on looks and smart on technology styler that is definitely worth a try! 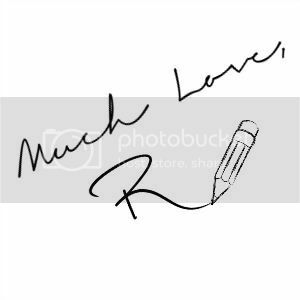 Hope you enjoyed this post. 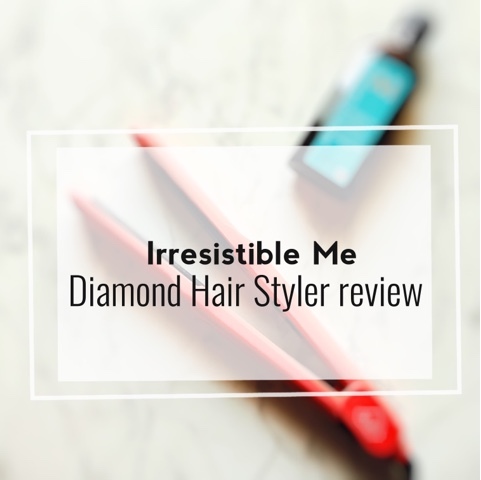 Also do let me know in the comments section below what do you think about the Irresistible Me Diamond Hair styler? Also, would you be investing in one anytime soon? Hair maintaining is the most important one to shows our face look beautiful. Lots of people are suffering in hair fall. But this problem is easily skip by using the medicine Generic Propecia. 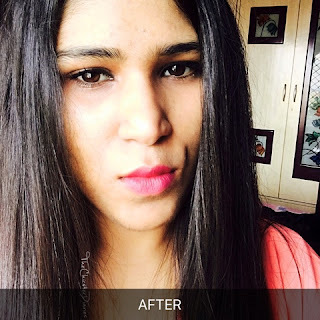 Most of the women want to show their hair into so cute and beautiful. The hair styler helps to keep the hair into smooth and fair, but it may also slow down the hair growth and also encourage the hair fall. 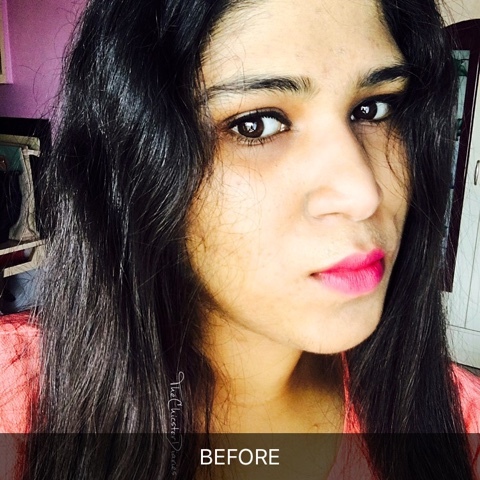 So try to follow the natural steps to keep the hair into beautiful. Thank you. 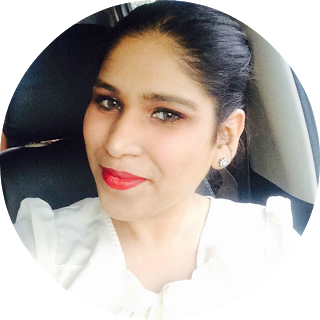 MTP kit online is best medicine to end up unplanned pregnancy.